We are a 501(C)3 non-profit organization, dedicated to assisting and improving lives of the Fire & EMS workers here in Horry County, South Carolina! 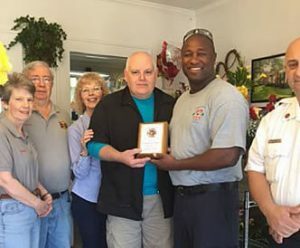 The Horry County Firefighter’s Relief Fund was organized in the fall of 2009 and since has assisted many firefighters and their families in great times of need. 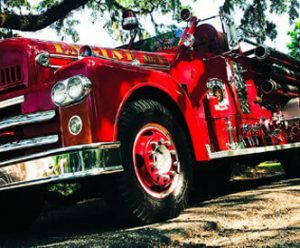 As a 501c (3) non-profit organization, HCFFRF is dedicated to assisting and improving the lives of Horry County firefighters, rescue workers, their families, and the communities they serve. Whether affected by injury or a life threatening illness, our goal is to provide as much relief as possible. HCFFRF assists Firemen and EMS workers in times of need and/or hardship by making emergency funds and resources available when they need it most.We service any Fire and/or EMS worker in the limits of Horry County from North Myrtle Beach FD, Myrtle Beach FD, Conway FD, Surfside Beach FD, Horry County Fire Rescue, Murrells Inlet Garden City FD, & Loris FD. HCFFRF sponsors two Horry County children on a trip to Medical University of South Carolina (MUSC) Burn Children’s Fund Camp-Can-do annually. This opportunity allows these children to participate in activities geared towards creating positive self-images while being surrounded by peers who share similar medical experiences. HCFFRF gives $1000 annually in scholarship money for two deserving Horry County Residents completing the Fire Service or Emergency Medical programs with Horry Georgetown Technical College. HCFFRF volunteers our time, skills, and resources to our family of firefighters and EMS workers and the surrounding community.We host fundraising events, provide funds, personnel and apparatus for funerals within our fire families and create an opportunity for people to help those who tirelessly and selfishly protect our community.